More and more brands are starting to interact with followers using WeChat public accounts. How can a brand make each interaction and follower portrait personalized, while also recording follower information and designing an interface with the CRM system? JINGdigital can easily solve these problems for any brand. In 2018, JINGdigital, a marketing automation platform, officially became a Salesforce ISV Partner (ISV Partner), which requires them to provide more comprehensive marketing automation to global brands. Since then, JINGdigital has set up bridges between the CRM system and the WeChat database for brands, quickly matching WeChat users with the customer information in the original CRM of the brand, making the follower portrait more complete. Follower behavioral analysis provides a data foundation for brands to automate interactions, used to convince followers to make a purchase. 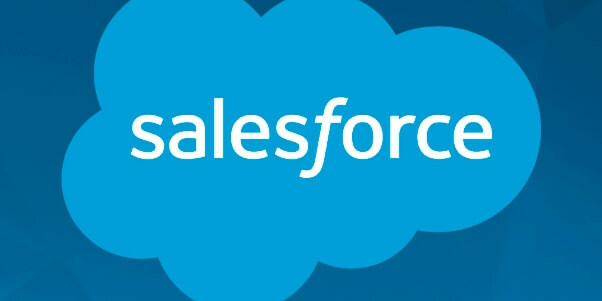 Salesforce is the world’s largest online customer relationship management (CRM) platform. Salesforce provides a complete customer management platform for sales, service, marketing, community, analysis, and technical support for hundreds of millions of businesses. AppExchange is a share center launched by Salesforce, which is used to distribute custom programs. In 2018, JINGdigital’s products passed the strict evaluation of the Salesforce security team and officially landed on the AppExchange platform. Salesforce users can learn more about JINGdigital’s product information on AppExchage. As the traffic dividend period ends, corporate customer costs are beginning to skyrocket; with the rise of social media, user contacts are becoming much harder to capture because of their rapid diversification. Due to this shift in market trends, improving the conversion rate of WeChat followers to potential customers to purchasers has become a top priority for brands. JINGdigital, China’s leading marketing automation platform, is an integral part of Shanghai Zhuosuo Network Technology Co. Ltd. According to its research, marketing automation increases sales efficiency by 14.5% and reduces labor costs by 12.2%. Using WeChat as its platform, JINGdigital utilizes automated marketing technology to design personalized interactions with followers based on user location and marketing stage. JINGdigital is confident that using this process of acquisition of followers to retention of these followers and then continuous promotion of purchase will provide a complete solution for the enterprise market, sales, and service departments. Successfully becoming a Salesforce ISV partner is a huge milestone for JINGdigital. In the future, JINGdigital will use digital marketing automation software to help a multitude of companies and brands customize interactions for every follower in order to increase conversion rates.